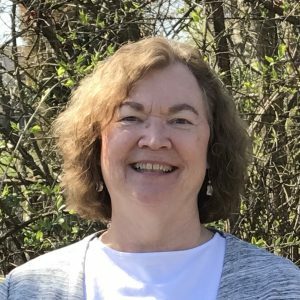 Mary O'Keefe is a licensed marital and family therapist in the state of Tennessee with over 20 years of experience. Besides working with couples and families, marriage and family therapists take a unique, systems approach when working with individuals. This means that a marriage and family therapist will explore, with the client, patterns of interaction with significant others that impact the client. 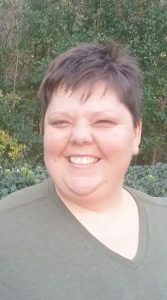 Mary has worked in a variety of settings: church counseling center, college campus, and community mental health agency. She believes these varied experiences give breadth and depth to her therapeutic perspective. Mary is a graduate of Ohio State University with an undergraduate degree in psychology. She received her masters degree from East Tennessee State University. She has taught at ETSU and at Northeast State Community College. 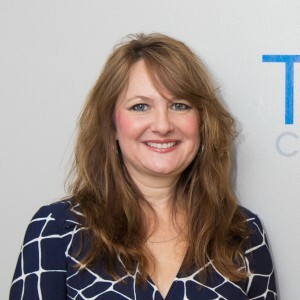 Mary served as a board member for the Tennessee Association for Marriage and Family Therapy and has served on panels administering oral examinations to candidates for state licensure as professional counselors and marriage and family therapists. All of the above addresses the ‘science’ of therapy. However, Mary also believes there is an ‘art’ to therapy that is deeply soulful. “I find it humbling that clients open their lives and hearts to me. It is an honor to assist clients in discovering a happier and more peaceful path in their lives. I consider my office a sacred space – a place that is a safe haven for clients to put down their masks and look at their vulnerabilities.” Mary believes that healing comes from addressing the wholeness of our personhood – body, mind and spirit. She is comfortable working with clients within their religious framework. She has worked with Christians, Buddhists, Hindus, Muslims, along with agnostics and atheists, too. She sees therapy as a partnership, client and therapist working jointly to assist the client in fulfilling his or her goals. Brandi is a huge fan of inner peace and has found a few tricks that help people find theirs. She believes in working with people to identify barriers and challenges that arise and finding effective, efficient ways around them. She has worked with hundreds of amazing people over the last 20 years in different support roles, with the last 10 as a Licensed Professional Counselor. In that time, Brandi learned that we are all able to use our unique strengths and abilities to move forward in our personal journeys towards finding our peace. Having experience in outpatient, residential treatment, and in-home settings has led to her deep appreciation for valuing individual family systems and the unique cultures that we all develop in our homes and identified family units. Brandi loves working with kids, adults, families, and couples in finding solutions to life challenges. Whether the challenge is anxiety, depression, mood, addiction, PTSD, grief, sexuality, gender identity, or just uncertainty she has found that the journey of developing effective coping skills and processing emotions is both powerful and life changing. She is honored to be allowed to be a part of your journey. Brandi earned a master of arts degree in community agency counseling/school counseling from East Tennessee State University. She obtained Licensed Professional Counselor with Mental Health Service Provider designation in 2007 and has practiced as both a therapist and clinical director since that time. She has been trained in and implemented Multi-Systemic Therapy, Functional Family Therapy, Trauma-Focused Cognitive Behavioral Therapy, Risk Reduction through Family Therapy, and equine-assisted therapy. She has been blessed many times to be able to assist with the journey of both gender and sexual identity with both adolescents and adults. Emily has a passion for helping others discover and create their best life. One of her fundamental beliefs is that when we are living our best life, we not only make ourselves more beautiful, but we also make our world more beautiful. It is, simply, a more efficient way to live. Sometimes our stories get so muddled with pain that comfort becomes a foreign concept. No matter what the root issue, therapy is one of the most efficient and effective ways to become re-acquainted, and more comfortable, with a comfort-based life. 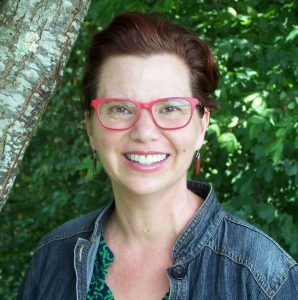 Emily received her Master’s degree in Counseling from East Tennessee State University, and has worked for the past 20 years in the counseling field. She has experience working in every facet of the mental health vocation, including trauma recovery, community mental health, inpatient, outpatient, group therapy, case management, and the criminal justice system. Because of her experience, she has the ability to effectively treat a wide range of issues, including: trauma, anxiety, and mood disorders (such as depression and bipolar mood disorder), and issues related to: stage of life, grief and loss, self-care, and healthy relationships. Therapy is one of the best gifts any of us can give ourselves, for by taking the time to work on pain in real time, as it happens, we prevent ourselves from the energetic drain that cumulative pain inevitably creates. 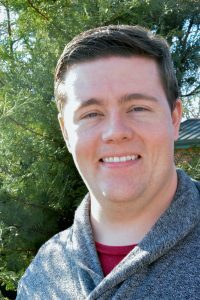 Hunter Cook is a Licensed Professional Counselor who grew up locally in the southwest Virginia, east Tennessee region. He has worked in a variety of settings including inpatient mental health, adolescent residential, community mental health, as well as providing services to youth in the juvenile justice system. He always strives to provide compassionate care to individuals of all ages in all walks of life. Hunter makes it a priority to work with his client’s to bring out their innate strengths in order to improve their lives. He does so by encouraging acceptance of their current life situation and working towards living in a manner more consistent with the client’s deeply held values of what is important to them. Hunter thoroughly enjoys working with individuals, couples, and families and he has a great deal of experience working with children and adolescents with emotional and behavioral difficulties including trauma. He understands that many times seeking help for life difficulties can often be hard, embarrassing, or even scary for both the client and even their family. Hunter feels that there is no wrong reason to seek assistance for the difficulties faced throughout life. Having been trained at Morehead State University and obtaining a master’s degree in clinical psychology, it is Hunter’s goal to assist his client’s in achieving their goals and promoting a rich, full, and valuable life for each person who he works with. When working with Hunter, the client is the expert on their life and as such, he will partner with the client each step of the way to ensure their needs are being met. Hunter always brings his unique personality into the counseling relationship in the hopes of encouraging conversation that is relaxed, genuine, open, and even fun! For over 20 years, Amanda Chapman has dedicated her life to helping families, couples, adults and children alike find hope and healing in the darkest of places. She has worked in several different environments over the course of her career, including inpatient and outpatient mental health centers, and assisted those in crisis and with in-home needs. Amanda has vast experience counseling men and women who are struggling with issues such as depression, anxiety, grief, family and parenting stress, couples' issues, "life" adjustments and problems of all types. She has a special affinity for helping women successfully cope with issues such as self-esteem, infertility, assertiveness, codependency and relationship stress, and has facilitated several empowerment groups for women. Amanda has also received specialized training from the Employee Assistance Professionals Association and has achieved the classification of Employee Assistance Specialist-Clinical. Her certification allows her to provide services to employee assistance organizations, employees and family members. Additionally, she is a HearthMath Certified Practitioner and provides Heart Rate Variability (HRV) biofeedback for a variety of disorders and performance enhancement. Her philosophy of treatment is grounded in the belief that everyone at some point in his or her life will suffer what may feel like overwhelming emotional sadness, pain and loneliness; however, those feelings do not mean that he or she is alone. Amanda truly wishes to provide a safe place for helping one make sense of their thoughts and feelings, and to rediscover peace from within. Her style of counseling consists of a multifaceted approach utilizing thoughts to help identify stories and core beliefs in order to construct new ones, acknowledging unresolved feelings to leave the past behind and embrace the future, and encouraging action to change unhealthy patterns with others. Amanda's style is empathic, relaxed and judgment-free. As a graduate of East Tennessee State University, Amanda is a licensed professional counselor, with a designation as a mental health service provider in the state of Tennessee. She has a master of education in counseling, with a specialty in marriage and family issues. She is an active member of the American Counseling Association and was an award recipient of the American Association of Presidents. Dr. Michael Pilcher has maintained an active practice of clinical counseling since 2001. Throughout his career, he has striven to provide quality services to individuals, couples, families and the community. This culminated in being the recipient of the prestigious International Association of Addictions and Offender Counselors (IAAOC) Outstanding Addictions/Offender Professional Award, presented at the American Counseling Association (ACA) convention in Charlotte, North Carolina (March of 2009). Additionally, Dr. Pilcher was elected to the Board of Officers for the Tennessee Licensed Professional Counselors Association as Treasurer. He also enjoys an appointment as adjunct professor of psychology at King University. He received his master of arts and doctor of philosophy degrees in counseling and subsequently earned a master of science degree in psychology. 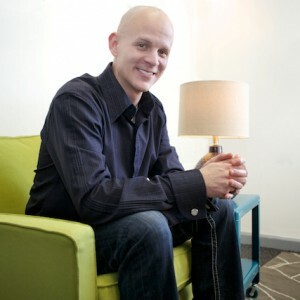 Dr. Pilcher maintains designations as a licensed professional counselor-mental health service provider (LPC/MHSP) and licensed alcohol and drug abuse counselor (LADAC) in the state of Tennessee, internationally certified alcohol and drug counselor (ICADC) with the International Certification & Reciprocity Consortium — a global leader in prevention, substance use treatment and recovery professionals. Dr. Pilcher offers Substance Abuse Professional Consultation. Learn more here or call (423) 573-6836 to schedule.